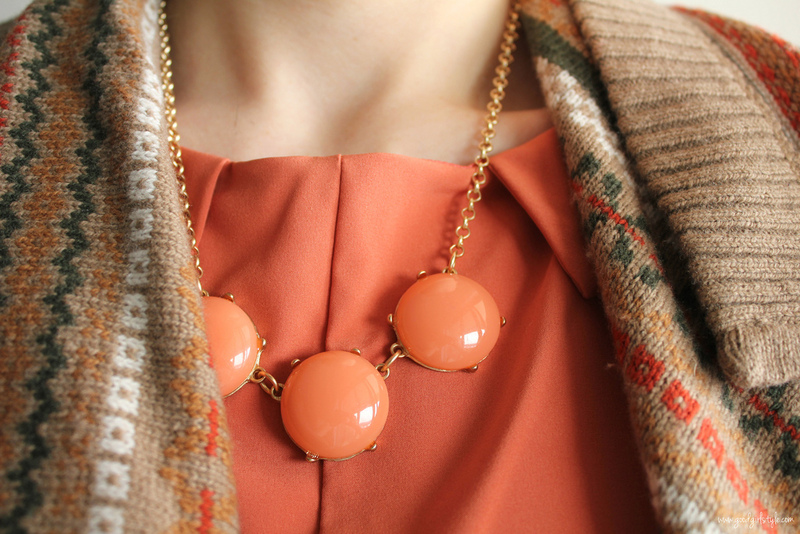 A pretty peach dress and a big old fair isle sweater. Perfect for a cold, sunny day. These are merino wool tights and they keep me nice and toasty! Love them so much! And such a pretty bubble necklace. It stays light until almost 6 o'clock! gasp! I looooove this outfit! That necklace is to die for!! Gorgeous Gorgeous Gor-GEOUS!!! GOSH GIRL... you inspire. Totally entered :-) Thanks for letting me (and my readers) know! I loved this outfit so much, I copied you. ;) Love your blog, I'm so glad we've met!